Pitchers close your eyes, burn the tape, and bury the box score. This game was not meant for you. 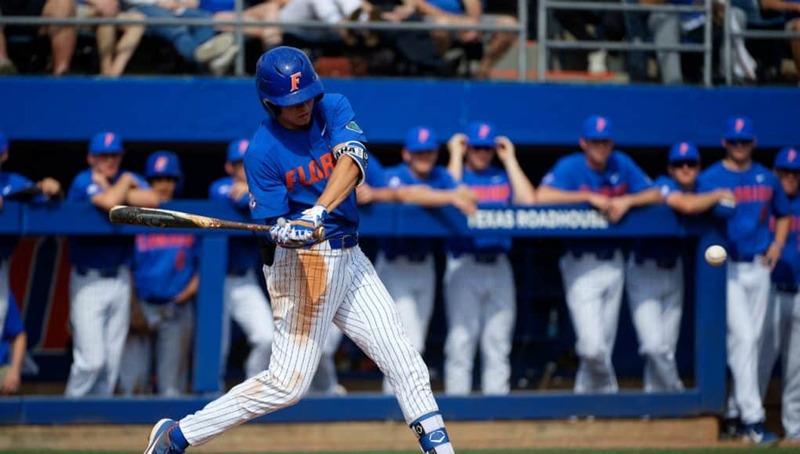 Florida slugged nine extra base hits including five home runs on the way to a 12-3 win over Alabama. 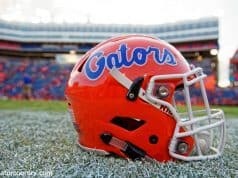 It’s the Gators first series win of the season and one they badly needed. Florida stumbled to a 1-5 record through the first two weekends in SEC play. On Tuesday the celebration after beating FSU was subdued. The team had already turned its attention to the weekend. 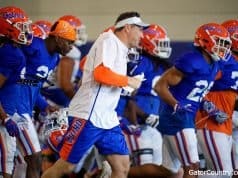 The Gators wasted no time jumping on Alabama starter Brock Love. The junior right-hander entered the game with a 1.93 ERA. Florida’s gameplan was to try and jump on Love early in the count and Brad McConnell did just that. The shortstop hit a moon shot to left field that cleared the fence to give the Gators a 1-0 lead in the first inning. Singing, “anything you can do I can do better” Alabama first baseman Drew Williamson evened the score with a solo home run of his own to left field. The firework show was just heating up. In the third inning Jacob Young line a home run into the left field bleachers. McConnell singled and stole second but would only need to jog the other 180 feet home after Nelson Maldonado clobbered a fastball over the wall in left field to give Florida a 4-1 lead. Wil Dalton broke out of a slump with a 422-foot home run over everything in left field to cap a four-run inning. A 5-1 advantage should have been good enough for Tyler Dyson but the junior fell apart in the fourth inning. Dyson earned a quick out beamed T.J. Reeves, walked Kobe Morris then allowed both runners to get into scoring position on a passed ball, which could have as easily been scored a wild pitch. Dyson walked Johnny Hawk on four-straight pitches and went 1-0 on Joe Breaux before Kevin O’Sullivan came out to the mound to get his starter. Dyson was moved from Sunday to Saturday after sophomore Jack Leftwich struggled in his previous two starts. Dyson was the Friday night starter to begin the year but has struggled throwing strikes for most of the season. 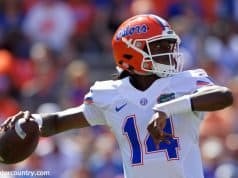 As much as Florida has found an ace in Tommy Mace on Friday nights, they have question marks the rest of the weekend. One player, however, is emerging. Christian Scott came out of the bullpen to relive Dyson. Scott allowed one run to score (charged to Dyson) when the first batter he faced lofted a sacrifice fly to left field but after that he was lights out. The freshman retire seven of the next eight batters he faced and allowed just one hit while striking out five in a career long 4.2 innings of work. This week Scott has thrown eight innings, gave up only two hits and one unearned run with 10 strikeouts. The Gators continued to add insurance runs with extra base hits. Jacob Young had a two run single in the bottom of the fourth. Calilao and Dalton each had a RBI double in the seventh and the Gators score three more runs, including a tape measure blast from Brady McConnell, his second home run of the night. The Gators will look to earn a sweep on Sunday at noon with jack Leftwich on the mound. The game was scheduled for a 1 pm start but has been pushed up to noon to try and beat some expected bad weather in the late afternoon.